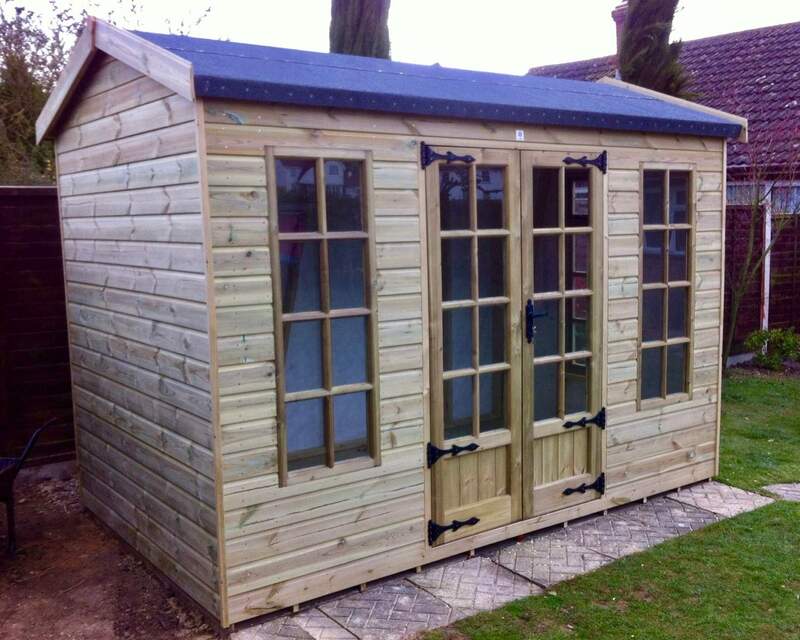 The latest in our summerhouse range. 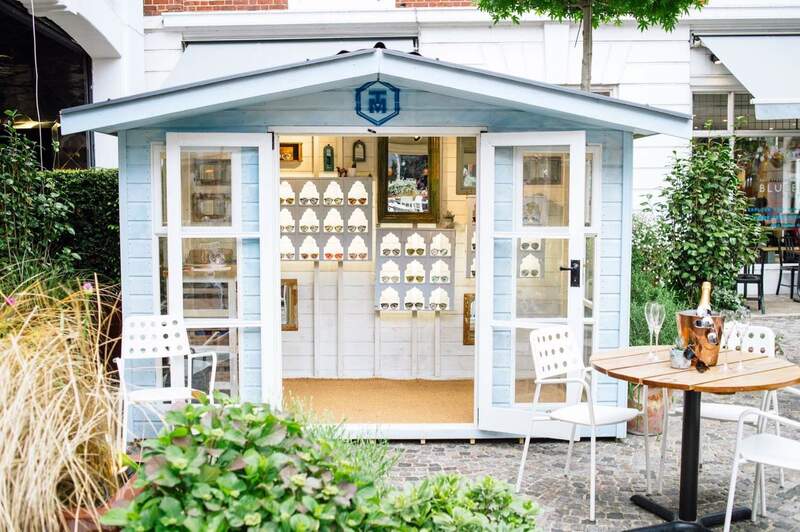 Originally built as a bespoke design for a design savvy customer, we felt The Kingston deserved to be the newest addition to our ever growing summerhouse range. 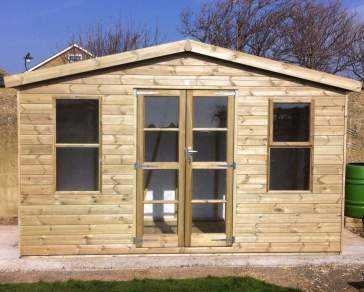 Please Note: The Widest size is always at the front, i.e 10' x 8', 10' Front going back 8'. 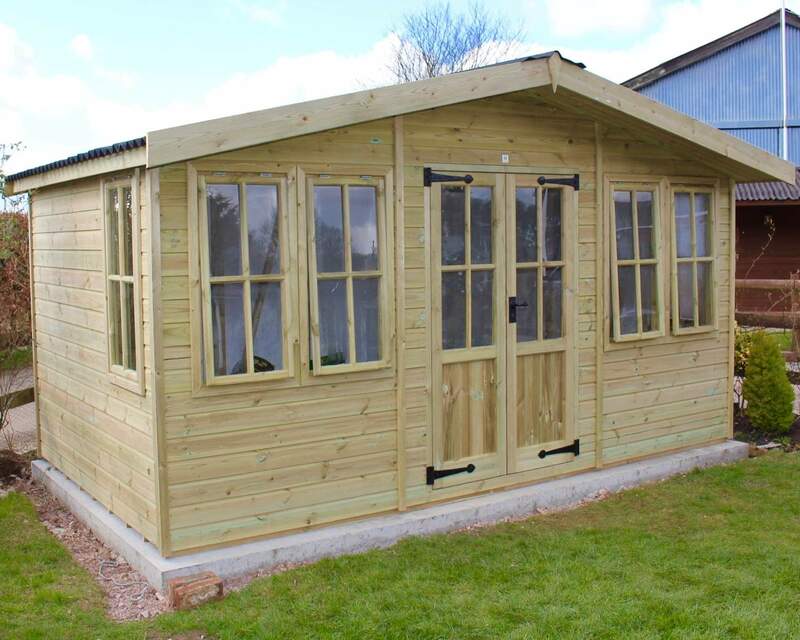 Extremely spacious and well lit, with modern designed windows on front and sides, the Kingston Summerhouse is the perfect place to enjoy the summer on a warm day or evening. 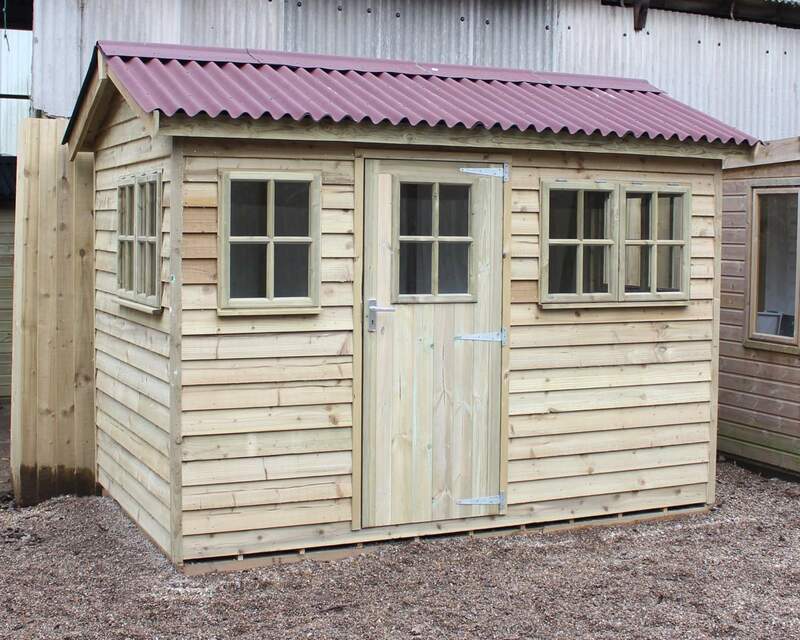 As with all of our outdoor buildings, this too is available in a range of sizes depending on your requirements. 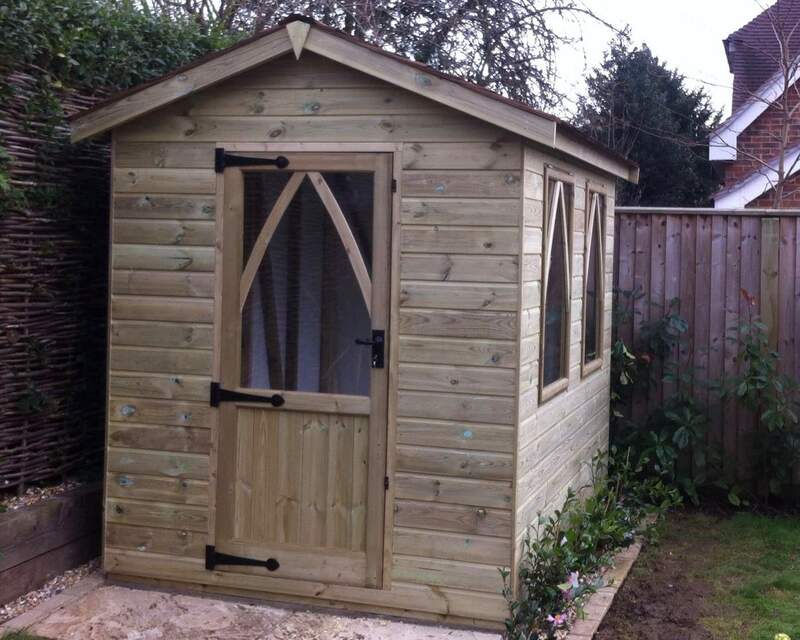 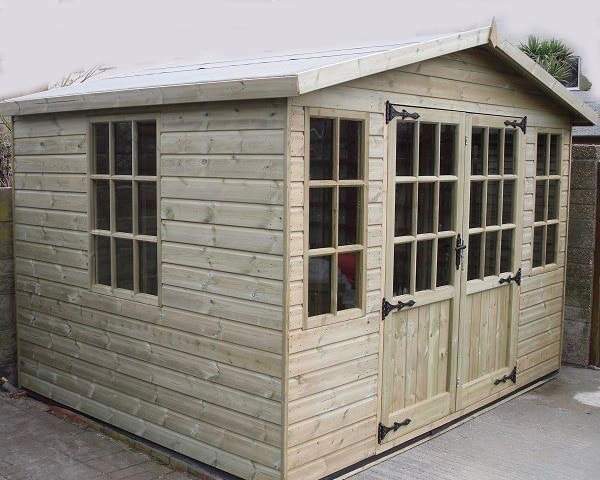 Featuring double joinery doors and joinery-made windows, this really is a quality summerhouse, and looks the part too.